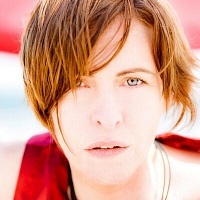 Eleanor McEvoy is an Irish contemporary/folk singer/ songwriter from Dublin. She released her debut eponymous album in 1993, followed by: "What's Following Me? " (1996), "Snapshots " (1999), "Yola " (2001), "Early Hours " (2004), "Out There " (2006), "Love Must Be Tough " (2008), "I'd Rather Go Blonde " (2010), "Alone " (2011), "If You Leave... " (2013), "STUFF " (2014), "Naked Music " (2016), plus 2017's: "The Thomas Moore Project ". Other work includes the hit song, "Only a Woman's Heart" released on the compilation album, "A Woman's Heart" - one of Ireland's biggest selling albums of all time.